How to modify your MAINE custody and visitation plan by yourself; includes the legal forms that you need. the Legal Forms That You Need! Can Custody Rights Be Modified and Can You Do It Yourself? The courts recognize that many factors may change after the issuance of a custody-visitation plan and they will make changes if it is in the best interests of the child. Thousands of people file successfully every year in county courts throughout the state. be viewed and printed separately anytime that you want. It’s like having your own personal research assistant. again for a full year. ~~~Maybe you just want to read a section---no problem! questions that you have about your filing. review new material as it is added. The site is yours to use 7/24/365! 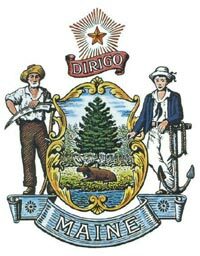 You will have access, at our Download Site, to the legal forms you need to modify custody-visitation in Maine. These forms are the most current versions available. It’s always best to deal with a child custody lawyer, however, the high cost of retaining an attorney leads many mothers, fathers, and grandparents to “Do-It-Yourself.” These “Do-It-Yourself” filings CAN BE SUCCESSFUL, but you must use your BRAIN POWER and your PATIENCE! How can you educate yourself, quickly and economically, so that your filing has a good chance of success? Here is the answer: READ AND STUDY THE PUBLICATIONS INCLUDED AT THIS SITE! These publications have been included because they will help to get you successfully from POINT “A” (deciding to modify your custody/visitation order) to POINT “B” (receiving a signed order from the judge granting your motion). No matter how urgent your case, taking the extra time to “GET READY” is well-worth the short wait! ABOUT GETTING THE PAPERS FILED. Some Basic Q and A’s to get you started. A 7 pages discussion of the process---VERY IMPORTANT FOR YOU TO READ! How to act, what to wear, when to speak---EVERYTHING! INFORMATION FOR YOU TO UNDERSTAND. THIS SUBJECT IS SO IMPORTANT THAT WE “Doubled-Up” ON THE ARTICLES! THE IMPORTANCE OF ADULTERY IN CURRENT CUSTODY AND VISITATION DECISIONS Also discusses: extra-marital sexual misconduct, “friendly parent doctrine,” (care-giving parent, religion, judicial bias, “psychological parent doctrine,” mothers vs. fathers bias, many more. Every item that can be considered by a family court judge is discussed! This publication is invaluable if you are trying to get custody or modify a custody order. An Important Discussion About How Court Systems Handle the Problem of Domestic Violence When Making Child Custody and Visitation Decisions. “I worked out a visitation plan with my ex when we got divorced, but now she never lets me see the kids.” “The court gave me every-other-weekend and all day Wednesday to be with my daughter but I haven’t seen her in over a year!” How do courts handle custody cases where the custodial parent has continually interfered with the custody and visitation rights of the noncustodial parent? Your printable copies of the BOOKS and LEGAL FORMS listed below will be delivered in PDF format. If needed, a free download of Adobe Acrobat will be available. ALL computers (PCs & MACS) will be able to quickly and easily download this file. The total time from PAYMENT CONFIRMATION through DOWNLOAD COMPLETION is approximately 1 to 3 minutes, depending on the speed of your computer connection. After you click on any of the purchase links at the bottom of this page you will be taken to an Order Form where you can provide your billing information. After your billing information is authorized you will automatically be transferred to a page that will contain the link to your Download (including your free BONUS items). Clickbank handles the payment and downloading of our products - they are a trusted online retailer specializing in digitally delivered products. ClickBank is one of the most visited sites on the Internet, handling a purchase and download for someone on the planet every four seconds. On an average day, ClickBank processes more than 20,000 orders from more than 200 countries around the world. Your download transaction will be handled quickly, easily, and securely. A huge BONUS designed to save you money! This Publication contains over 600 pages and thousands and thousands of specific resources that will help you assert your Child Custody Rights while spending little or no money! Every state is represented! You’ll be able to come back to “Child Custody on a Budget” whenever you need to research economical ways to handle your case. The site will be open to you for one full year!